Aerobic exercises (which are also referred to as cardiovascular exercises) refer to any high-intensity activity that works on huge muscle groups-those found in legs or hips. 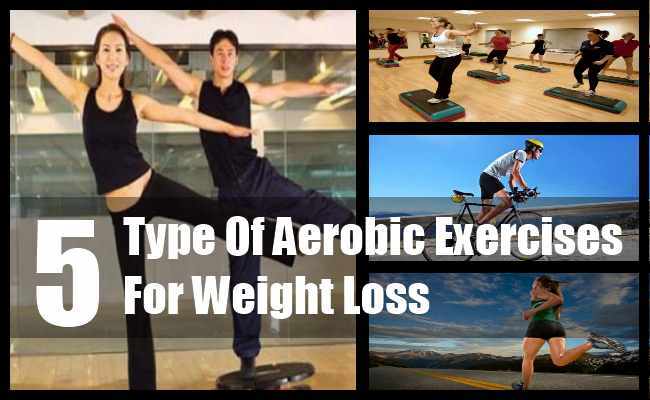 It has been scientifically proved that aerobic exercises are great for weight loss, since they help a person to burn calories quickly within a specified time. Apart from weight loss, other benefits of aerobic exercises include reducing the risk for diseases, improving mental health and also efficiency of the lungs. Overall, with aerobic exercises, you get to enjoy great physical and mental health. While it is a known fact that aerobic exercise routines offer various benefits, many people wonder what type of exercises they should specifically consider for weight loss purposes. In this article, we will point out some types of aerobic exercises that are perfect for weight loss. Running is an excellent aerobic activity for people who love outdoors. It is also the best option for people who cannot join a gym because of lack of time or money. Running is quite inexpensive, since you only need good running shoes for performing this exercise. It has been noted that if you run at the speed of 5 mph for 1 hour, you can burn 472 calories. If you further increase your speed to 10 mph, you will be able to burn 944 calories in the same time. The best thing about cycling is that it can be done outdoors as well as indoors, provided you have the right equipment.Cycling is an excellent exercise for losing weight and toning the lower part of your body. 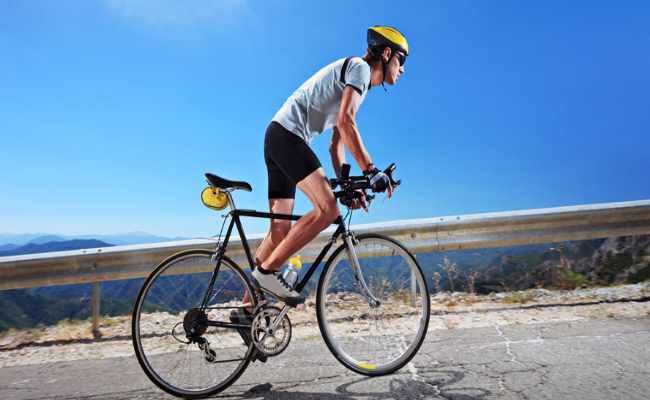 Studies have pointed out that cycling at the speed of 10 mph can help you to burn approximately 350 calories per hour. Swimming is another aerobic activity that you can consider for losing weight. An interesting fact about swimming is that despite being a low-activity exercise, it can burn more than 600 calories per session. Swimming also works on every part of your body, thus making you fit and toned. Using a jumping rope for exercising can be a budget-friendly way to get fit. If you use jumping rope for an hour, you can burn almost 590 calories per hour.Apart from helping you to lose weight, exercising with a jumping rope can improve flexibility of your body greatly. 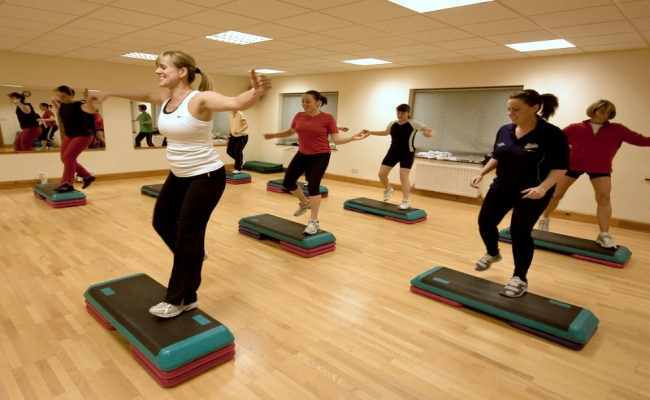 Step aerobics is slightly different from normal aerobic activity, because they involve the usage of raised platforms. This makes the exercise slightly challenging, while toning the lower part of your body. Also, step aerobics burn more calories than normal aerobics. While normal aerobics burn 384 calories per hour, step aerobics can burn 502 calories. As discussed in the article, all types of aerobic exercises are ideal for losing weight and shaping your body. For best results, you should combine different types of aerobic exercises. This will allow you to avoid monotony and also challenge your body. However, it is important that you properly warm up and cool down, before starting and stopping any exercise routine respectively. This will reduce chances of injury and allow you to make most of your efforts.